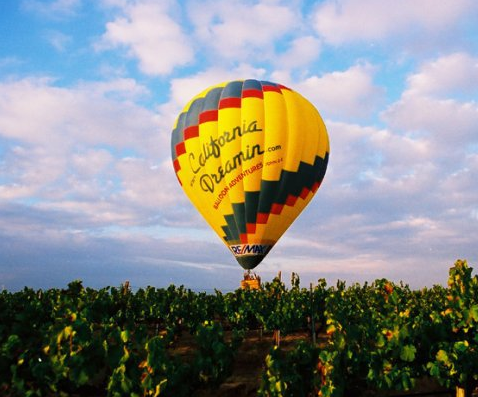 A wonderful reason to take a romantic and adventurous hot air balloon ride. I wanted to share with you one of our past Valentine experiences by hot air balloon. Enjoy. You are welcome to share this and or publish as you see fit. 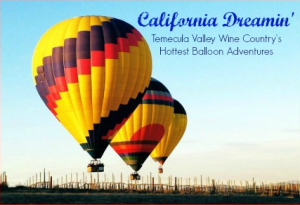 On Valentine’s Day a few years ago, we met our passengers for the balloon rid e in Temecula but a light rain started. We cancelled the balloon flight. One of the passengers, a marine helicopter pilot from Camp Pendleton, took me aside and told me he really needed to do this flight. He was planning to propose that morning, have a civil marriage that afternoon and report to be shipped out to Afghanistan that night. He wanted to make sure his girlfriend received his benefits if something should happen to him overseas. The marine had his shipmate buddies standing by in another car with a “Will you marry me?” sign that they were going to display from the ground as the balloon flew overhead. Being a helicopter pilot, he knew it was perfectly legal for me to fly a balloon in the rain and begged me to do a short flight just to make the proposal happen. We support our servicemen so I decided to help. 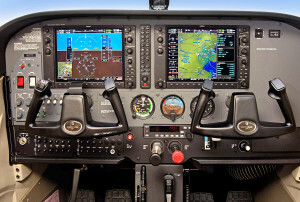 I agreed to do a short flight where we would take off and fly with the wind across an orchard. His buddies would wait on the opposite side of the orchard and display the “Will you marry me?” sign as the balloon flew by overhead. We would immediately land at the next field with the mission accomplished. Well, that was the plan. We pulled out the envelope in the rain, the fabric getting wet and heavy. As the balloon slowly inflated, the intensity of the rain increased and it was like the sound of a 1000 drummers playing out of sync. We put heat into the balloon and it stood up almost 10 stories tall in the rain. The sound of the rain against the envelope was deafening, only out matched in noise when I squeezed the burner handle to put more heat into the balloon. The envelope steamed as if it were on fire because of the hot dry air inside drying the wet fabric where the rain hit it. Inside the basket, we were warm and dry but unable to hear each other due to the noise of the beating rain. A clear sheet of rain water poured down around the outside of the basket after sliding down the balloon, making everything look like a Monet painting. We took off expecting to fly towards and over the orchard – but as the rain increased, the wind had shifted. We were going the wrong way. I kept the balloon climbing to try and find a wind headed towards the orchard – and the marines waiting with the “Will you marry me?” sign. Suddenly all the noise stopped and it was instant silence. We all immediately looked up in fear thinking something terrible had happened to the balloon. Everything inside the envelope was okay, so our eyes drifted back down to look outside. The balloon had climbed so high, the rain had turned to snow. The marine helicopter pilot took one look around and then immediately dropped to his knee and proposed – in a hot air balloon with snow all around us in southern California. We landed shortly after, back in the rain, right where we took off. We never did see the “Will you marry me?” sign on the ground. It was surprisingly and unexpectedly one of the most romantic moments I have ever witnessed. 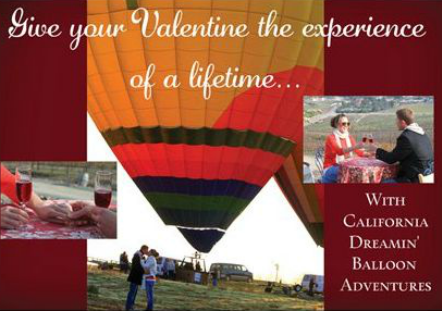 By the way, We have some great Valentine’s Day specials available – both for hot air balloon or helicopter rides. Feel free to refer business and/or call us if interested. Ever since mankind discovered art there have been many ways to express it. One of them of course has always been body painting. Probably not how you picture it now a days, but still it was a way of body painting. It may not have been a way of expressing artistic influences or anything like it but it sure was a way of showing power, identity and to separate each tribe from one another. 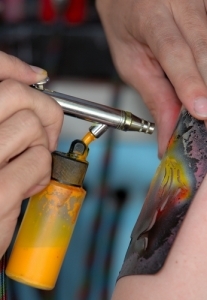 In our present time body painting is increasing its popularity amongst artists, models and curious art lovers. From conventions to festivals all over the world, this type of temporal art is the way to express yourself without fear or shame. Either you are a model or just a sneek peeker, opening your mind will help you enjoy this experience a little more. There are lots of styles used in body painting, but the one in the video may be one of the most complex styles there is. Something like a black canvas, with neon lights and neon and fluorescent paint. At the end visualizing the completed work it recreates and optical ilusion, is something like watching 3D body painting. To start with, the model gets covered in black paint, creating a different kind of canvas specially made for fluorescent paint. Then the artist begins working in the person applying different kinds of refinements as they go through with it. Combining two colors at once or even putting one on top of another. Then applying as many contrasting colors for it to glow and to make a perfect three-dimensional painting. As said by the interviewed artists, it´s an amount of work packed into hours of dedicated patience onto the elaboration of one piece. The patience is not only limited to the artists, the models, also dancers in this case, as well have to stay still for hours and hours until the work is done, to go out onto a stage specially made to appreciate the neon colors on the living masterpieces. Music, a body painting-dance-show and a perfect atmosphere, as shown in the video, end up being a great idea for an art convention. A full spectacle for every single art-loving-eye. Developer Jeff Berkowitz is planning to build a 1000 ft, iconic landmark on one of the most beautiful coastlines in the world. SKYRISE Miami is a $400 million investment that will increase Miami’s worth among the world-class cities. Gaining already its own fans, SKYRISE Miami has plans to become the tallest building in Miami. We know that this grand architectural work will bring multiple benefits to the city and will become a source of employment for many. According to a study made by The Washington Economic Group Inc; during its development SkyRise Miami can generate more than 6,782 jobs and once completed it is estimated to generate more than 16,000 “annual employment positions”. Due to its centric location SkyRise observation deck will have great views of Miami’s golden coast. It is only steps away from great venues like the American Airlines Arena, Miami Art Museum, Bayfront Park and the Science Museum not to mention countless others. This iconic observation tower plans to be home to one of the most exclusive night clubs in the world – “Sky Rise Nightclub”. It will be host of the SkyRise ballroom where “every “it” event from South Florida and the Americas will have to be planned”. The SkyRise Restaurant: where you can enjoy fine dining almost 1,000 ft above the ground. SkyRise Drop: which “can be described as base-jumping using a sophisticated bungee like safety system where jumpers are attached to a high-speed controlled-descent wire”. SkyPlunge Miami: “riders will experience the thrill of free fall followed by the jolt of extremely rapid deceleration. It is destined to become one of the most exciting rides in the world”. View the awesome video of the Daredevil flies through waterfall. This is the terrifying moment a disgruntled crocodile narrowly missed grabbing a tour guide off the side of a boat.The group were so busy watching one of the saltwater predators swim towards them, they totally missed its pal lurking below.As the guide explained a little about the sea monsters living in the Adelaide River in Australia’s Northern Territory, an almighty crash disturbed his speech half way through. As the group jumped back and screamed, the cameraman swung round just in time to catch a set of huge jaws lower back down the side of the boat. Clearly unphased by the interruption, the tour guide stepped forward and pushed a long stick down over the side to stop it happening again. Vancouver, British Columbia, January 13, 2014 – From culinary tours in Malaysia and Goa, to yoga sailing in Turkey, and mountain biking in Sardinia – the developing tastes of the “wellness traveller” is setting the trends for 2014. Travellers might be surprised to find out that sailing vacations are not just for the uber rich and savvy knot tying types. Intrepid Travel reported a 118% growth in the trips they offer, with Greece and Croatia being two of the most sought after destinations. Great video about amazing stunts. Don´t try this at home on a boring Sunday afternoon but enjoy the video! 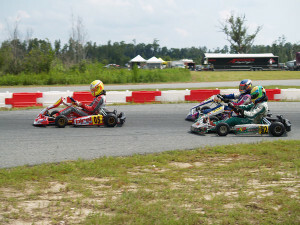 We run 15 minute sessions at Andersen RacePark, which is the equivalent to about 13 laps or so. All drivers must be registered on our timing and scoring system. 12 to 15 year olds must complete a minor licensing course if they want to take part in regular rental sessions. The course is made up of three 15 minute lapping sessions with an instructor. If the driver comes through it successfully, they will be issued with a license and allowed to take part in regular rental sessions. 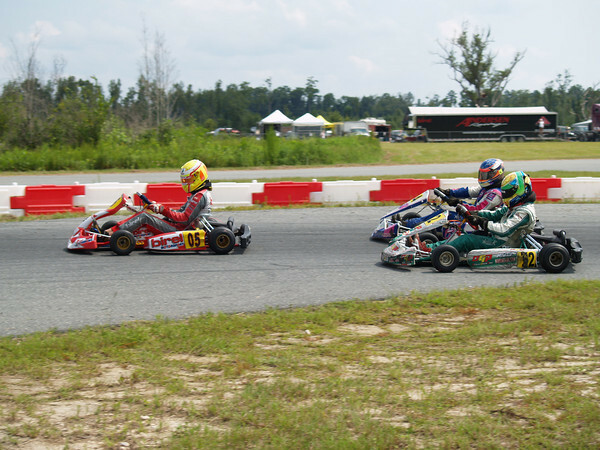 5 to 9 year olds will be best fitted to our kid kart. They must also complete a minor licensing course, which involves a braking exercise, followed by a slalom course. 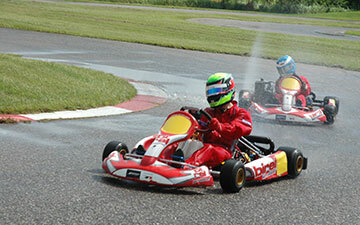 From there, drivers will complete a 10 minute lead-follow session with an instructor. If they come through this, they will be issued with a license and allowed to take part in regular kid kart lapping sessions. 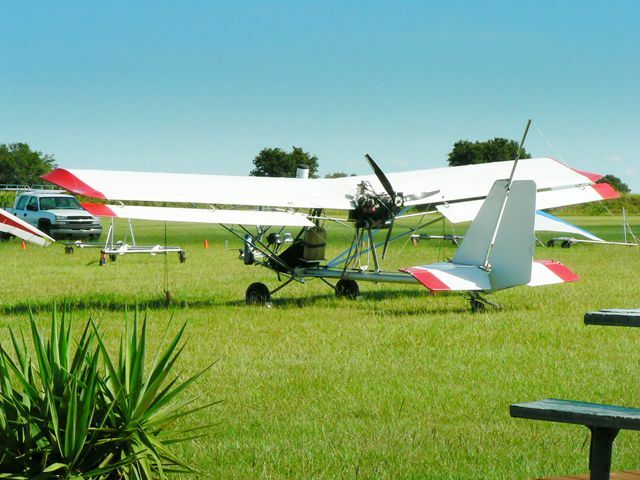 Since 1992 the Florida Flight Training Center has followed its own Training Philosophy. Founder Arne Kruithof was born in Rotterdam, Netherlands. 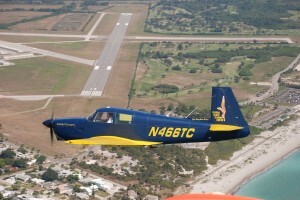 After completing his Pilot training in the state of Missouri he flew for the Airlines for many years, experiencing cargo and passenger flying. Arne believes that students should not only learn how to fly, but also be prepared for the demanding nature of the airline business. MEI (Multi Engine Instructor) Robert Beer explains that FFTC not only offers pilot training but also flight experiences for the general public, like scenic flights over Venice, Fl and the Myakka River State Park, and an introduction to flight training. Come Fly the Ridge! Where Fun and Service are Second Only to the Flying! 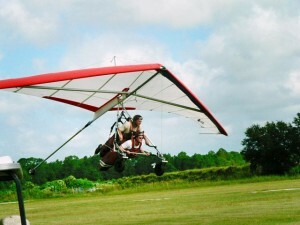 The Florida Ridge is located on 50 acres of land in Southern Florida midway between Fort Myers and West Palm Beach, where Atlantic and Gulf coast winds converge to create the most favorable soaring conditions in the country. With unrestricted air space and wide-open fields stretching 100 miles in every direction, the Ridge gives pilots of all abilities unlimited opportunity to test their soaring skills, thermal to cloud base, fly cross-country, and indulge their love of free flight. 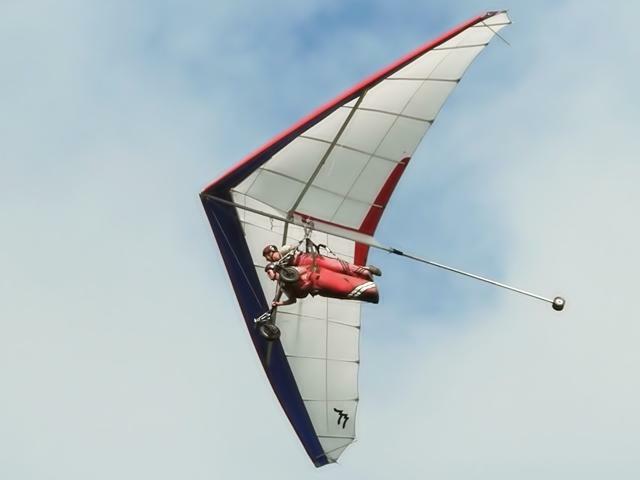 The Ridge offers UltraLight Rides, ParaGliding, Picnic Areas, an ATV Track, Trail Biking and a Golf Driving Range.